Say goodbye to your relaxing drive to and from work every day. Harman is working with Microsoft to put an end to those few minutes of wasted productivity by bringing parts of Microsoft’s Office suite to your car’s infotainment system. 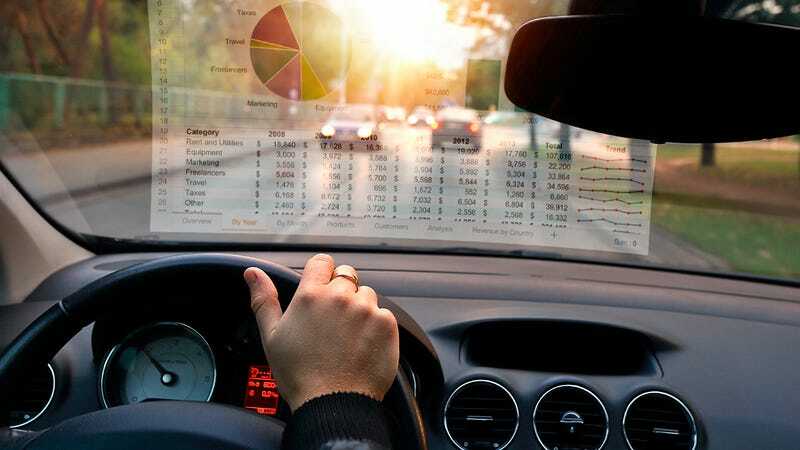 Does that mean you’ll have Excel spreadsheets projected across your windshield, letting you crunch through pivot tables at every red light? Probably not. The partnership between Microsoft and Harman is geared more towards letting drivers more easily listen and respond to emails, schedule meetings, and join Skype or other conference calls without taking their eyes off the road, or their hands off the wheel. Harman also points out that thanks to the over-the-air incremental software update capabilities of its infotainment systems, drivers will always have access to the latest version of MS Office. Because what’s going through driver’s minds most when stuck in traffic is whether or not they have the most recent version of Office installed. Some of the in-car Office features will only be accessible when the vehicle is parked, or when it’s in an autonomous mode. And with almost every car company announcing autonomous vehicle initiatives at CES this year, maximizing all the extra time we’ll have inside a car that’s driving itself only makes sense. Although most of us would probably have preferred a Harman/Microsoft announcement involving Solitaire coming to your steering wheel.